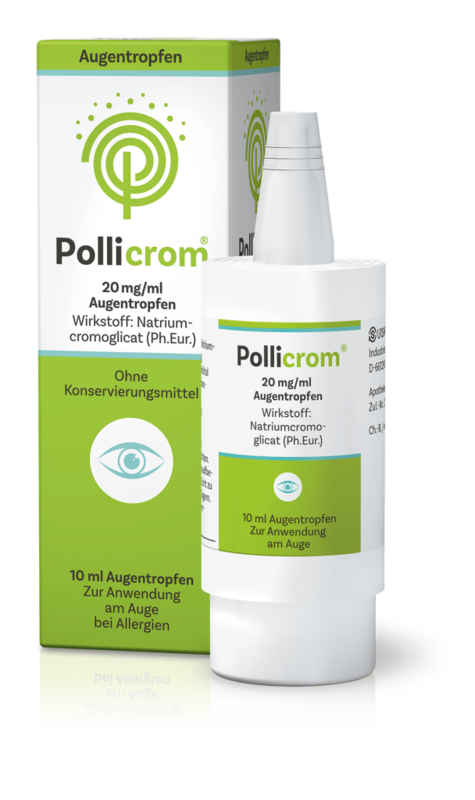 Take precautions with Pollicrom® eye drops and avoid severe allergy symptoms like allergic conjunctivitis. The cromoglicic acid active ingredient provides gentle and long lasting relief to your eyes. It intervenes early in the allergy mechanism and inhibits the release of the histamine allergenic messenger. With this treatment, allergy symptoms such as allergic conjunctivitis often do not occur at all. Pollicrom® eye drops are available from the innovative COMOD® System and are preservative and phosphate-free. Pollicrom® 20 mg/ml eye drops. Active ingredient: Sodium cromoglicate (Ph. 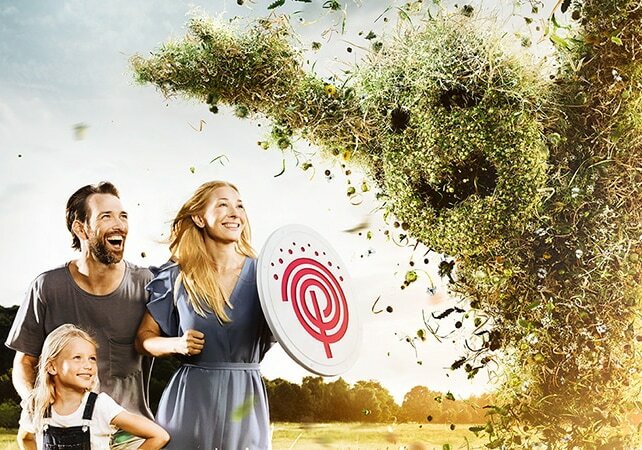 Eur.) 20 mg/ml. Areas of application: For usage with allergy-related acute and chronic conjunctivitis, for example hay fever conjunctivitis, vernal catarrh ((keratoconjunctivitis) vernal conjunctivitis). For risks and side effects, please read the package insert and consult your doctor or pharmacist.